You’re probably familiar with what direction an article about the dangers of sugar will take–scary health facts followed by a typical laundry list of foods and sweets many believe life would be dull without. In our defense, though, we only mean well. Take it from an esteemed science journal, Nature, that recently published the thoughts of a sociologist, endocrinologist, and public health expert from the University of California, San Fransisco in an article entitled “Public health: The toxic truth about sugar.” They argue that sugar should be regulated like alcohol and tobacco. We are all too familiar with the consequences of tobacco and alcohol consumption. But why are these health experts teaming up against sugar? Sugar is partly responsible for the 35 million deaths that occur worldwide each year. Consider just a handful of causes of sugar-related deaths: metabolic syndrome (including diabetes, high blood pressure, and heart disease), cancer, non-alcoholic fatty liver disease, and non-alcoholic steatohepatitis. 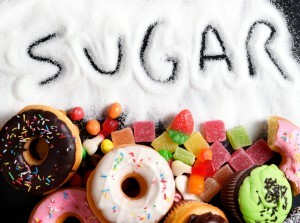 You don’t have to look hard to find traces of sugar in our food supply. In the past 50 years, our nation has tripled its consumtion of sugar. Every American downs a whopping 130 lbs of sugar each year (about 3 lbs per week). At least 500 calories of their daily intake comes from refined sugar, the nutritional facts of which is easy to remember – just memorize the number “zero”. That’s 500 empty calories of zero nutrition (zero vitamins, zero minerals, zero fiber, and zero enzymes). According to the article in Nature, chronic alcohol and chronic sugar exposure can both cause the following health problems: hypertension, myocardial infarction, insulin resistance, dyslipidemia, pancreatitis, obesity, malnutiriton, habituation/addiction, and liver dysfunction. They even touch on the negative social effects of sugar due to obesity-related social stigma. Is Sugar Making your Liver Fat? Let’s zone in on one of these health problems: liver dysfunction. Liver problems generally flow under the radar because the symptoms and effects develop slowly but (dangerously) surely. When we think of liver problems, we usually think “cirrhosis” and when we hear the word “cirrhosis” we instantly think “alcoholic.” It’s time to update the way we associate these conditions. Before cirrhosis comes fatty liver. So how does fat get into the liver? And what does sugar have to do with it? Like alcohol, ingested sugar goes through the liver. When there’s too much sticky sugar going through, the liver ramps up its fat-production factory (lipogenesis) to its highest level. Lipogenesis converts the sugar to fat molecules and stores it in liver cells. One study found that just 3 weeks of excessive carb intake increased liver fat by 27%. Ta da! We now have a fatty liver (think “foie gras” from an overfed duck), what was once mainly seen in alcoholics nearing the stages of cirrhosis. Non-alcoholic fatty liver disease is becoming more common in non- and moderate-drinkers. They are at risk of developing a severe form of the disease, non-alcoholic steatohepatitis, cirrhosis, or liver cancer. That’s right. One no longer needs to be an alcoholic to have a cirrhosis-like liver condition, just a habit of consuming too much sugar. What does a fatty liver look like? Inflammatory processes in the liver take off. The liver no longer metabolizes or detoxifies the way it used to. It starts to produce more LDL and less HDL (the “good”) cholesterol. The LDL starts traveling through and depositing itself in the arteries. Keep in mind, this is a very simple, summed-up version of what really happens. In reality, this is closely tied in with other problems throughout the body, including insulin resistance because of a desperate, over-worked pancreas. If there is a bright spot about fatty liver, it’s that it is reversible before the point of steatohepatitis. Weight loss sustained by healthy lifestyle changes in diet and exercise can repair the liver. Sugar is sweet and there’s no denying it can please the taste buds. However, quantity is a serious issue. How many more scary facts do we need to bridge the gap between our understanding of the science behind sugar and our actual habits? The UCSF team consider the dangers posed by excessive sugar consumption so serious they suggest serious measures: taxes (an option the country Denmark is considering), school bans, advertisement bans, age limits, zoning ordinances, and licensing requirements. The change can start in your kitchen (and cupboard). Remember to cover your bases: good fats and oils (omega-3-rich foods and small amounts of essential omega-6’s), controlled carbohydrate intake for stabilized blood sugar, and antioxidant-rich greens and whole foods. EnergyFirst ProEnergy whey protein powder is ultra-low glycemic; it has next to no sugar (less than 1 gram per each 25 gram scoop). It helps support healthy weight loss and provides nutrients needed to burn fat and stay energized all day. Our Greenergy superfood blend is a sugar-free supply of liver-protecting nutrients and antioxidants. Am J Clin Nutr. 2012 Oct;96(4):727-34. Epub 2012 Sep 5.